There’s a new project that’s opening this week in Southeast Asia. It includes a botanical garden, a boutique hotel and the world’s largest indoor waterfall. And it’s opening at the airport. 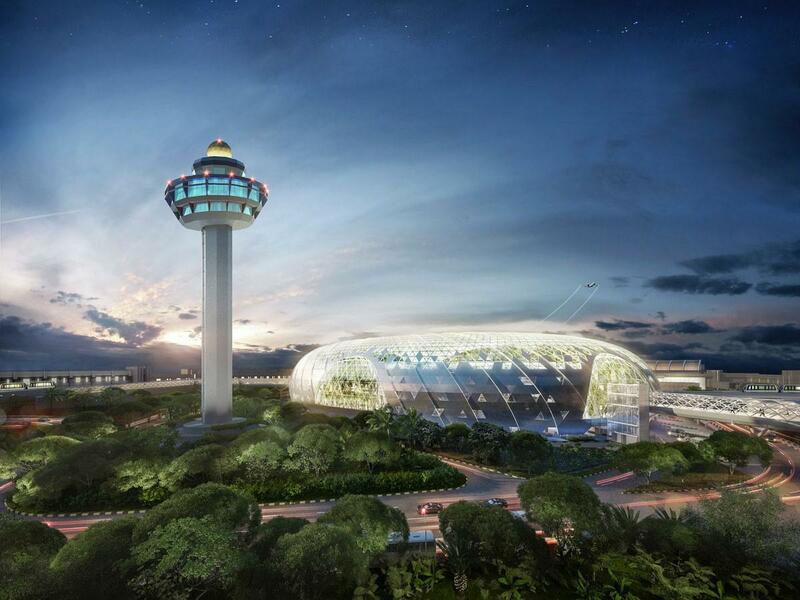 Singapore’s Changi airport has been one of the best in Asia by just about any measure since the 1990’s. Last year, Conde Nast Traveler ranked it the best airport in the world. It’s had a movie theater for years — free for passengers waiting for connections. Not long ago it added a swimming pool, and there are bookstores with a wide selection of Southeast Asian history and politics. Later this week, there will be more. The “Jewel hub” is a 1.3 billion dollar building that contains a vast indoor garden with more than 200 species of plants. There are walking paths, an adventure park, and, yes, the world’s biggest indoor waterfall – seven stories tall. The entire complex is ten floors — five above ground and five below. The opening comes at a time of increased competition among airports in Southeast Asia — including Kuala Lumpur and Bangkok. The new building will also have a hotel and meeting rooms, conference facilities, and of course there is retail space. Restaurants and stores — some 300 in all. Those include the first Pokemon Center in Asia outside Japan. And while the main target audience is definitely air travelers, Jewel Changi Airport will also be open to those without tickets. The idea: to create a tourist destination all on its own.